Windows Phone 7 to be locked to three models? Windows Phone 7 Series may be locked into three distinct chassis types, according to Microsoft developers. 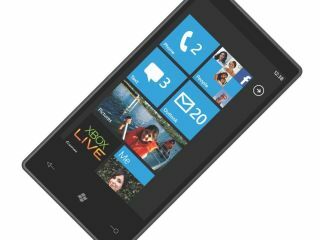 Speaking on an Australian podcast, Developer Evangelists Michael Kordahi and Andrew Coates said that Microsoft was going to mandate three chassis types as the Windows Phone 7 vehicles. The first type will be the one we're most familiar with – the tablet device, running a 1GHz processor, a high resolution screen and a dedicated GPU. Apparently, the phones mentioned by Ballmer as coming in the holidays are to be the first type. The second chassis type is for the more advanced communicator – adding in a slide out QWERTY keyboard – something like the HTC Touch Pro 2. This would have a combination of the touchscreen and keyboard, but likely keep the high end features such as dedicated graphics processing to ensure applications would still work on it. The third chassis type was mysteriously kept under wraps, prompting speculation it's something a little different. However, it's more likely that this will just be the 'candybar' format, with a smaller screen and standard nine-button keypad or mini-QWERTY. The idea of mandating the chassis types should help Microsoft streamline its mobile operation – this will help not only consumer awareness but help the company release upgrades to a stable user base.